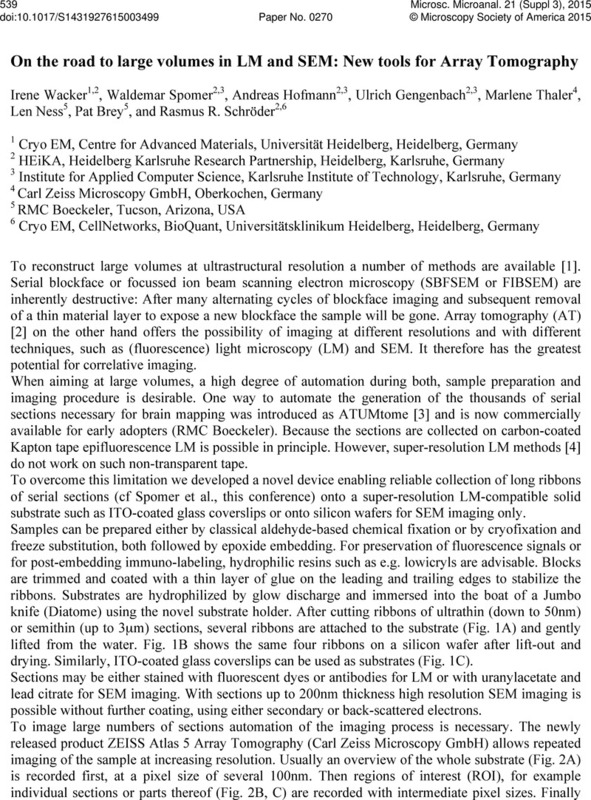  Wacker, I & Schroder, RR, J Microscopy 252 (2013) p93–99. Micheva, KD & Smith, DJ, Neuron 55 (2007) p25–36. Erratum in: Neuron 55 (2007), p. 824. Hayworth, KJ, et al., Front Neural Circuits 8 (2014). article 68 pl–18. Nanguneri, S, et al., PLoS One 7 (2012) e38098. The authors acknowledge C Bartels and L Veith for technical support, C Grabher for samples, BMBF for NanoCombine grant FKZ 13N11401 and MorphiQuant grant FKZ 13GW0044, and HEiKA for initial funding of the substrate holder development.